Welcome to June! At the start of the month, I like to look over the past month and do a round up of the most popular posts. This month it was hard to just list the top 5 because there were two other ones that were almost as popular! I had a good time this month creating some fun crafts, going to a few boutiques/expos, reviewing some great products or books, guest posting on another blog for the first time, and I created my very first printable that I posted on my blog. Click on the picture or the link to see the original post. 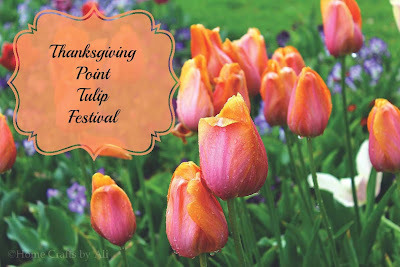 One rainy day, I took my daughters up to the Thanksgiving Point Tulip Festival. I shared my pictures from that day. Even in the rain it was beautiful. 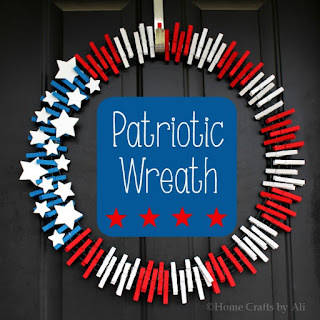 My most popular post ever was the tutorial on how to make this Patriotic Wreath. I love my wreath and plan on keeping it up all summer long! 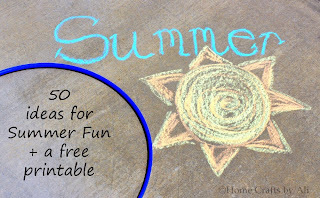 My 50 ideas for Summer Fun was a very popular post as well. I included a free printable that I made so my readers could print off their own list to use. I'm looking forward to a fun summer! One of the fun posts I did last month was my comparison of my new Canon Rebel T5 versus my iPhone 5c camera. I took pictures in different situations with the two cameras and compared the photographs. 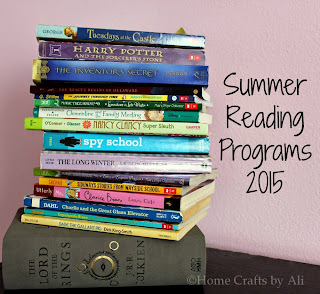 My family are all bookworms and we love signing up for Summer Reading Programs each year. I provided links to different programs for kids. Don't forget to check your local library for a kids program and they usually have an adult program too! Thanks for visiting my posts in May! I hope you will come back to see what I have planned for June as well. I have some great ideas for posts that I have already started on. I will be co-hosting a Blogger Brags link party for the next 3 months, I have a few DIY craft tutorials planned, a few tasty recipes, a fun giveaway, a swap planned with another great blogger, and more! hi ali! we are doing similar things- i love our canon t5 camera, i'm getting more books to read from the library, and we just went to a gorgeous tulip fest in Mt vernon, WA! happy summer to ya!! Great minds think alike! =) I just checked your site and saw that you made a potting bench out of pallets. That is the project I had planned for my hubby this weekend! How funny. Have a great week!